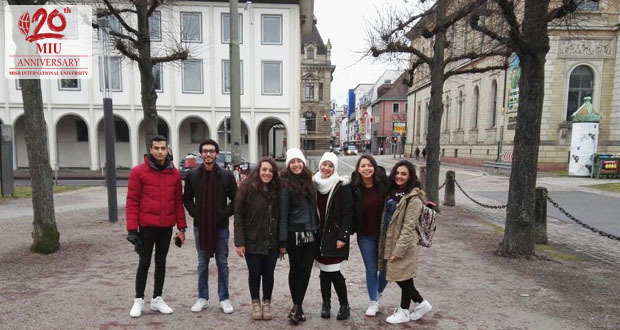 Seven Misr International University students flew to Germany to participate in the Emerald Forest Hotel Simulation that was held and organized by MIU’s partner, Karlshochschule International University from February 5th till 10th, 2017. It was a great opportunity for students to learn how to develop their entrepreneurial, collaboration and communication skills by engaging in a virtual, internet-based simulation game that models the management of a hotel business. 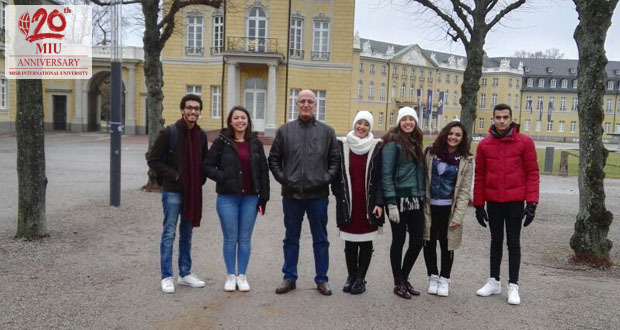 MIU students succeeded to develop different hotel strategies, prepare a trade fair, analyze the competition, respond to a virtual hotel crisis, generate press releases, develop promotional and advertising material using social media and make critical financial decisions. Throughout the simulation, the students maintained an excellent image of MIU. 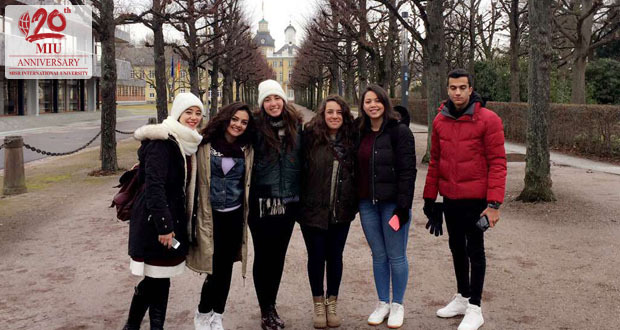 Student Sara Elkashef and her team of foreign students won a medal for creativity. Sara’s team was selected as the most favored team by the coaches as well.